This past Easter, after attending Mass with my family and going out for our traditional Easter dinner at Papa Razzi, my mom and I decided it was the perfect night to see a movie. And so, after changing out of our Sunday best and getting into something a bit more comfortable, we headed off to the movie theater to see “Heaven Is For Real.” For anyone who doesn’t know, the recent movie is based on the book of the same title, co-authored by Todd Burpo and Lynn Vincent, and it describes a little boy’s journey to heaven as he fights for his life. My intention here is not so much to discuss the book’s plot, but rather to consider some of the points that are brought up in the movie adaptation. While the book primarily focuses on young Colton Burpo’s account of his experiences in heaven, the movie spends a good amount of time considering the reactions of the community. Colton is the son of the town’s pastor, and as the young boy tells his father more about what he supposedly experienced while he was near death, the church community largely pushes Todd to discredit what his son has been recounting as mere stories. Throughout much of the movie, viewers watch as faithful church-goers seem to have major crises of faith because of a four-year-old boy. At the beginning, even Colton’s father is unsure whether or not he should believe his son’s experiences “really” happened. Todd goes to see a psychologist, who attempts to convince him that his son’s experiences all have their foundation in his subconscious. No, she tells him, Colton did not go to heaven. Of course, this woman is an admitted agnostic, and Todd leaves her office just a little bit closer to believing his son’s stories. He sought out the psychologist with questions, but it already begins to appear as though he innately knows the answers. However, throughout the movie, it is only after having been challenged that Todd truly comes to accept his son’s stories as the truth. He entered that office most likely hoping that the woman would tell him that his son’s trip had been a dream- why else would he seek out a psychologist who is a known agnostic? But by the end, he is defending Colton. While the psychologist does not seem to be convinced by Colton’s knowledge of facts that he should not and could not have known- such as the location and actions of his parents while he was in surgery, Todd does not leave that office so easily satisfied with her answers. He is already coming to believe his son and to accept the answer that sits before him: Colton is telling the truth. He has seen heaven. But the psychologist’s office is just the beginning. As Colton’s story spreads, more people challenge him and his family. At one point, Colton’s sister even goes so far as to punch a boy who mocked her brother for his trip to heaven. While a small contingent of supporters does exist, most of the community seems to regard Colton’s experience as a dream, a fabrication of his subconscious. Even the church community challenges Colton’s stories. Even Colton’s own mother doesn’t know whether she believes him. What is so difficult to accept about Colton’s trip to heaven? The first objection the community raises is that Colton never in fact died. And if he didn’t really die, how did he get to heaven? This objection quickly falls to the wayside as people hear what the child has seen. While it might not be the case that Colton momentarily died and went to heaven, he certainly seems to have seen something. But the people are still not satisfied. The church community seems downright disturbed by Colton’s account of heaven. They seem quite adamant that there is absolutely no way that Colton could have gone to heaven. They are so incensed by Colton’s story that they even question Todd’s aptitude to lead their church. At one point during the movie, the church “elders,” so to speak, gather with their pastor to consider his future as the leader of their church. What is their main objection? His apparent support of his son’s story as the truth. On a very basic level, Todd’s fault is that he won’t tell his son to stop making up stories. Why? Because he has come to believe him. By now, Todd is willing to risk his career to support his son. He would rather give up his position rather than abandon the truth. And the truth is this- Colton Burpo has been gifted with an incredible grace, to see heaven before he dies. 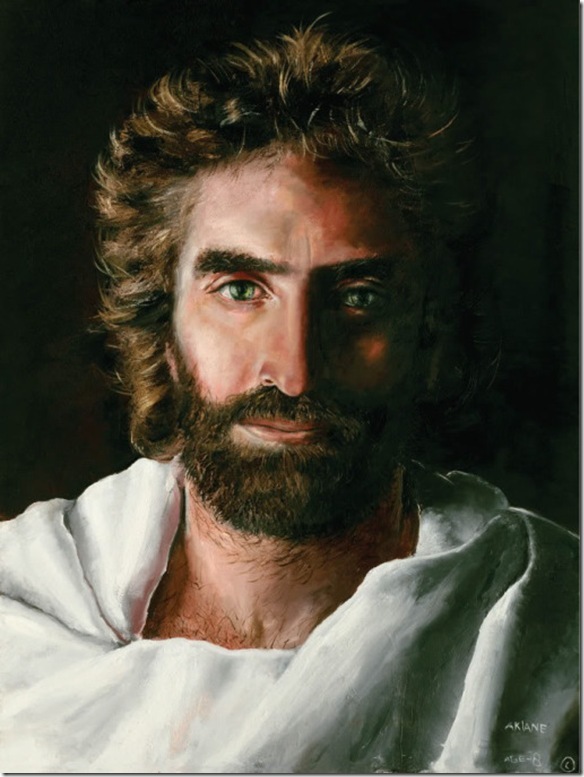 During his adventures, he met all sorts of incredible people- his long-deceased grandfather, his unborn, miscarried sister, and Jesus Christ Himself. And yet people still won’t believe him. This church community, which professes faith in Jesus Christ and His resurrection, which certainly teaches life after death, cannot accept heaven when it stands before them, demanding to be believed in. A Christian cannot believe in Jesus Christ and the resurrection without believing in heaven. Why did Jesus die on the cross and rise again, if not to free us from our sins and open the gates to heaven? What would the purpose of His death and resurrection be if man was never able to join Him in heaven? 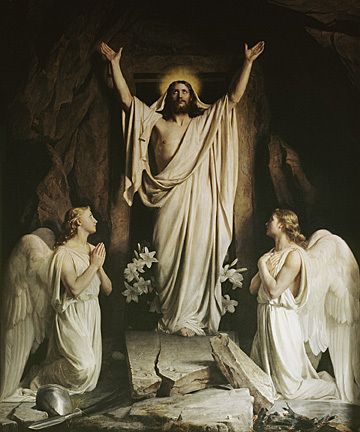 The resurrection does not make sense unless one believes in heaven. And yet these Christ-believing church-goers cannot bring themselves to believe that a little boy went to heaven. Had they been asked if they believed in heaven a month before Colton Burpo nearly died and went to heaven, they probably would have responded positively without hesitation. But now, confronted with the reality of heaven’s existence, they struggle to accept the possibility. Faced with the reality of heaven, their faith is shaken. This is no longer simple talk of heaven. This is acceptance of the earth-shattering assertion that “heaven is for real,” and the church community cannot bring themselves to believe. The reason for this hesitation is not immediately spoken, but inevitably one brave Christian ventures to give voice to what everyone is already thinking. By giving voice to the most devastating objection, they give it life. If they speak it, they must consider it. It is the question on everyone’s minds: if heaven is for real, what about hell? Just as surely as the resurrection of Christ demands the existence of heaven, does not the existence of heaven demand the existence of hell as well? Todd Burpo’s answer is sadly weak, and I consider it the most significant flaw in the entire movie. The possibility of hell shakes everyone, but just because it makes us uncomfortable does not mean that it does not exist. Perhaps it makes us uncomfortable because it exists. As the church members discuss Colton’s visions, it becomes increasingly clear that they do not want to believe Colton because if they believe that heaven exists, they de facto have to admit that hell is real as well. And they do not want to do that. They would rather force Todd to call his son a liar than admit to the reality of hell. What naive, fearful children we are. The church community prefers to live in ignorance rather than admit that hell exists and it is not empty. But what would this necessarily imply about heaven, about God, about humanity if hell really didn’t exist, but heaven did? Are we all destined for heaven, regardless of our actions here on earth? 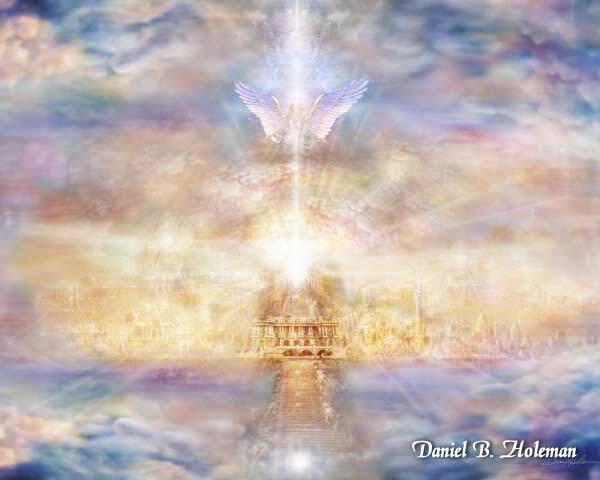 Will we all be forced to endure an eternity in heaven, when we would prefer to choose hell? God does not condemn us to hell; we condemn ourselves when we refuse His grace. But a man who condemns himself to hell, who rejects Christ even unto the last moment, the final judgment, the ultimate choice that we all make, where will he go if his choices have closed the gates of heaven to him? If there is no hell, where will he go? Will he be forced to accept Christ even when he desires to choose the world, sin, and Satan? After a life of choices, will this final choice be deprived of him? Will he be forced to change against his will so that he, like all others, will enter the gates of heaven upon his death? Doesn’t it just make more sense to say that hell exists? That there is a place for these wayward souls to go? 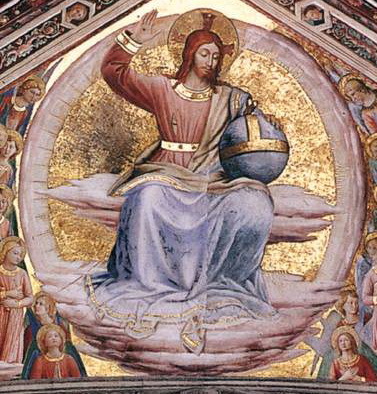 Or was Christ just speaking in metaphor about some other reality when He spoke about the Final Judgment when the faithful souls would be blessed with eternal life in heaven while the wayward ones would be cursed with eternal life in hell? Despite what Todd Burpo seems to imply in the movie, hell does exist. It has to. If there was a cross and resurrection, there is a heaven. And if there is a heaven, there is a hell. It is not charitable to claim otherwise. Christ has already revealed the truth to us. There has been a place prepared in heaven for the sheep, and in hell for the goats. 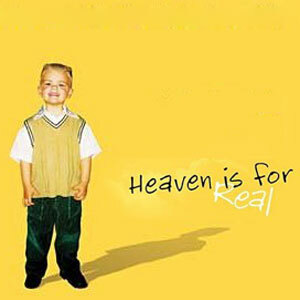 Yes, just as Colton Burpo affirmed, heaven in for real, but that’s not the whole truth. Hell is for real too. It is the logical conclusion of a world where free will exists, where human beings can choose whether or not to follow Christ. Those who choose to follow will be rewarded for their faith in heaven. Those who repeatedly choose to turn their backs on Christ will not be forced to endure an eternity that they have not chosen for themselves. We will all get what we have asked for. We will get heaven, or we will get hell. Our actions, our choices, communicate our ultimate choice. But in the end, we all choose one or the other. There is no limbo. There is no heaven for sinners. Heaven is for the saints, and hell is for the sinners. That’s the bottom line, and there is no use denying it. Of course, such a statement has its nuances. Even the saints are also sinners during their lives, and they even tend to consider themselves the worst of all sinners. But the saints are those men and women who choose Christ even as they continue to sin; they choose to accept the grace and mercy of God as they rise again every time they fall. Yes, the saints were also sinners, but they were sinners striving after sainthood, and by the time they attained heaven, they had been perfected. All sinners enter heaven as saints. There is no place for sin and death in heaven. We are all called to be saints; we are called to strive for sainthood, to resist the temptations of sin. We are all called to rise again when we fall. Because that is ultimately the difference between saints and sinners: sinners are content to waste away their days lying in the filth, while the saints strive to wash the dirt from their souls and become like the brightest stars of heaven. “Heaven Is For Real” leads each of us to ask ourselves, what do I believe in? Do I believe in heaven? In hell? What am I choosing? Do I want to spend my life as a sinner, or do I want to become a saint? Yes, God wants to spend eternity with each and every one of us in heaven, but He will never force us to do anything against our will. Every day we make the choice: heaven or hell? God or Satan? Life or death? Which will you choose today?